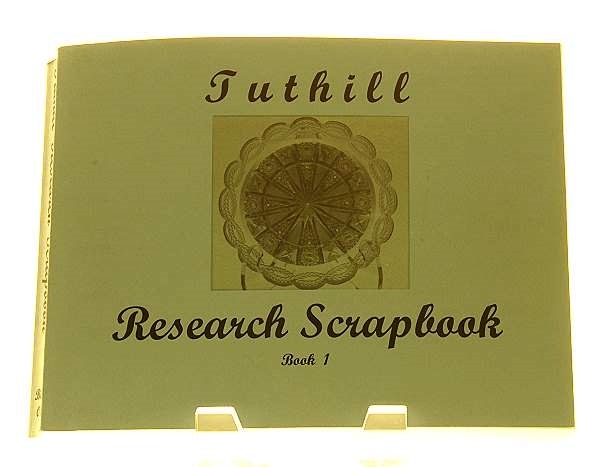 The Tuthill Research Scrapbook is a three-volume set that presents an invaluable insight into the work product of the Tuthill Cut Glass Co. and is highly recommended for both researchers and collectors. A very limited number of the sets were produced and most are still in the reference libraries of the original LABAC members. We currently have two sets available. This is an accumulation of Tuthill glass descriptions and images which are assembled into this informal research scrapbook of more than 1400 pages with more than 3000 pictures (with descriptions) of Tuthill glass! Also included are a cross-referenced index of all pictured Tuthill patterns, a comprehensive summary of Tuthill glass auctioned over a 22-year period, plus reproductions of 40 Tuthill Factory advertisements. Some of the 300+ patterns in the TRS are found pictured in one or several of the fine publications about American Brilliant cut glass. Some Tuthill patterns have been given names either by the authors of those publications or are known to collectors by commonly accepted names which are used in the scrapbook. Most of Tuthill’s patterns do not have names so TRS contributors and editors assigned “Tuthill Research Scrapbook” names to many patterns. 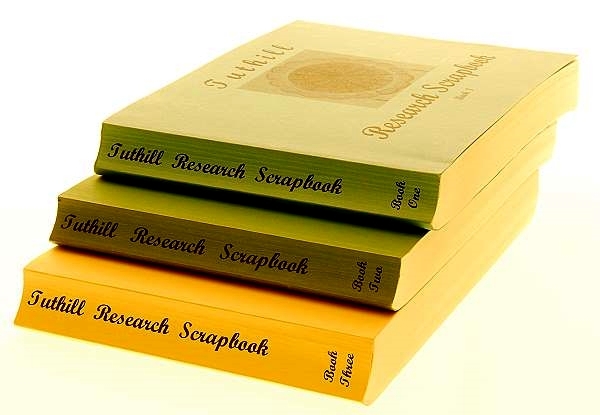 Although the TRS editors took many liberties with Tuthill pattern nomenclature, they suggested that Scrapbook names not be accepted by anyone as ‘official’ Tuthill pattern names. The Tuthill Research Scrapbooks are stimulating and sometimes provocative. There is a lot to learn from this source!